Convenient day-to-day payments – buying fuel, supplies, ordering raw materials, business trip costs etc. Easier routine job for the company’s accountant. Secure purchases both for shopping online and in regular shops. Fast cash deposits and withdrawals. Card purchases easy to control at any time via Internet Bank. in the nearest Swedbank branch. has logged in to Internet bank with Smart ID, Mobile ID or ID card. Otherwise it will be irrevocably cancelled and production of the card will not start. The card will be made and sent via post to the company’s contact address provided to the bank. For security reasons, we send only inactive cards by post. If card agreement is already signed then after receiving you must activate it via corporate Internet bank by user who has full access rights. 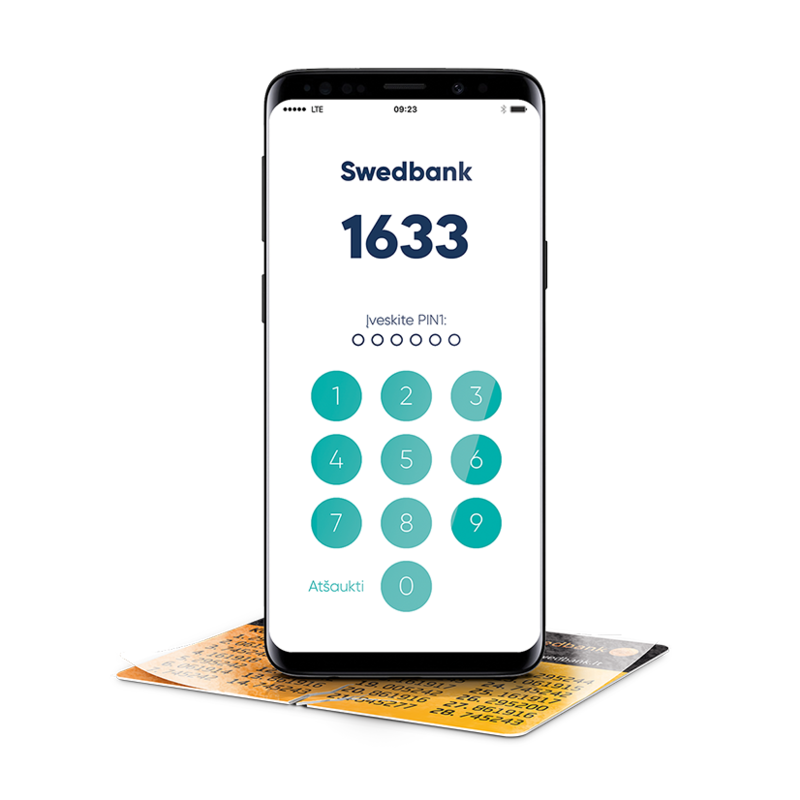 If card delivered to chosen Swedbank branch and agreement is already signed, then the card could be picked-up by signing person as well card holder. Renewed card can be used only after agreement is signed and card activated. Sending the card via mail is free of charge within Lithuania. Business Debit Card. Conditions and fees. If a new card is ordered via Internet Bank and received by post, then card can be activated via the Internet Bank by the company’s Internet Bank user having profile „All transactions“ to card account. If the card is automatically renewed, or card agreement was not signed upon ordering it, card can only be activated with together with agreement signing. The card received in branch is activated by a branch employee after agreement is signed by legal representative and handed over to card holder. If a bank card is stolen, it must be closed immediately. You could do it by yourself in Internet Bank or by calling our business client consultation center on by short number 1633 or at any time (8 5) 268 4820. From abroad You can call by number +370 5 268 4422 or +370 5 268 4820. If you would like to secure PIN then you can change it in Swedbank ATMs in Lithuania. In security reasons it is allowed to insert PIN wrongly only 2 times. After 3rd time PIN will be automatically blocked.